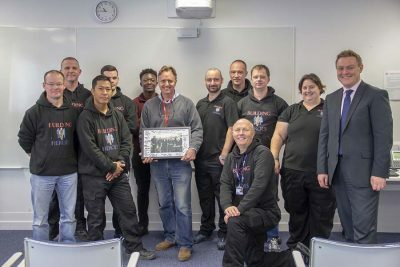 A team from decorator’s merchants Kent Blaxill recently attended a celebration to mark the 100th learner at The Buiding Heroes Charity in Colchester. Building Heroes , one of the military charities supported by the company, gives ex-personnel the opportunity to gain key building industry skills. The event was marked with a visit from local MP Will Quince, senior Military personnel and other local businesses.